What can I say? Paris is probably one of the most awesome places to start any InterRailing trip. The city is absolutely packed with everything from attractions and architecture to history and art. 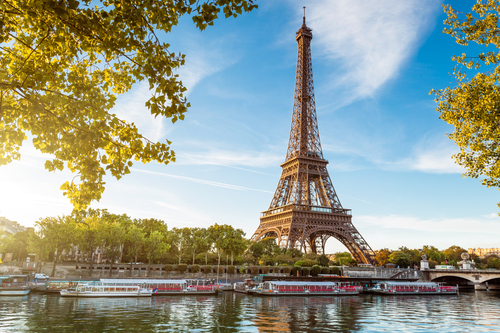 The city is home to one of the finest and most popular Art museums in the world in the Louvre and plays host to a fantastic list of other attractions including Les Arc de Triumph & The Eiffel Tower. Paris is a fantastic city for anyone to visit all year around. All hostels recommended below are top notch and our number one St Christopher’s is one of the top hostels in Europe equipped with great dorms, bathroom facilities, Wi-Fi, continental breakfast & lively entertaining bar & nightclub to meet fellow travellers.